People born in the year of the rat are sociable. They have no problem being thrown into a large crowd and start a conversation. In fact, people will be drawn to them because they are charismatic. The first animal to win the race, and obviously they won with their brain power. Don’t be surprised when the rat knows the answer to the questions before anyone else. 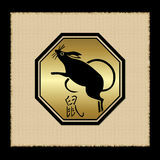 Last but not least, the rat is an influential sign. Most people follow their lead because of all the traits mentioned above, no wonder they are the first of the animal signs. On the other the hand, the rat is very acquisitive. If they want something badly, they’ll make sure they find a way to acquire it, even if it means getting their hands dirty. They can also be critical to the point that they will fuss over little things and won’t have any other way. If it’s none of their business, they will stick their nose deep into it. In the end, if it impacts what they want, they will interfere to due their nosy nature. Worst of all, they can be overambitious to the point that they will push people down so that they can get to the top.